Bedazzled Ink Publishing, 9781945805417, 200pp. 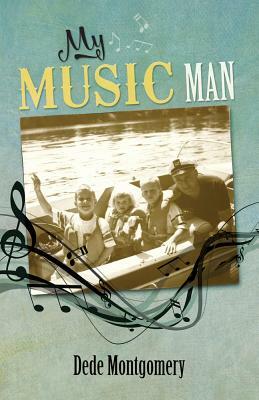 As Dede Montgomery moves through grief to accept of the death of her father, the stories in My Music Man shed light on change, acceptance, and forgiveness amid close personal relationships and Oregon's natural landscapes. The reader is catapulted into autumn on the Willamette’s riverbank in the 1960s with the author and her brothers, where they discover their father's own childhood stories and the intimate relationship he shares with the land. Tales about generations of family weave between time periods, held together by the constancy of place and colored by memories of picking berries and filberts, traveling through the West Linn locks, and swimming in the river on a hot summer day. Montgomery describes small-town life in a school where everyone knows everybody, and how it felt to be an only girl in what often felt like a never-ending sea of boys. Dede Montgomery is a sixth-generation Oregonian and a certified industrial hygienist working in research at Oregon Health & Science University. She lives with her husband in West Linn where she never tires of exploring new places along the banks of the Willamette River.